Home - Advertising and TV - Chevrolet and Oldsmobile Animated Ads from the 1930's-1950's. 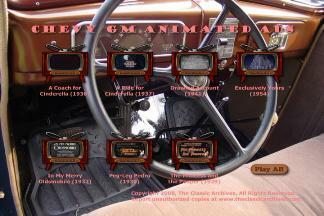 Anyone who has ever owned an Oldsmobile or a Chevy will appreciate this old animated cartoons. These classic animated tales are collector's items for anyone with a classic car in their garage. This is a collection of vintage advertising animated cartoons for Chevy and Oldsmobile primarily from the 30's. Primarily included is fantasy type animations as well as a film on behind the scenes at an animation studio and film that uses animation to detail the inner workings of an engine. 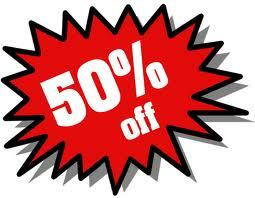 A rare collection indeed, this is geared primarily for lovers of old cartoons, as well as Chevy and Olds car buffs. This old cartoons are a marvel to look at. Over 70 years old, they are still entertaining to watch to this day. Cinderella relies on a Chevrolet to carry her home by midnight through obstacles and storms. If you like classic cartoons, you will like this cartoon. Texaco sales film aimed at Texaco dealers, introducing a new high octane gasoline with the additive "Petrox." Excellent cutaway engine illustrates pistons in use; also good animation of same. Shows advertising in support of product roll-out. Surprisingly licentious advertising cartoon produced by the Fleischer brothers. Chevrolet advertising cartoon in Technicolor on a "Treasure Island" theme. Nicky Nome, a spinoff from "A Coach for Cinderella" and hero of this cartoon, rescues a treasure-laden pauper from the Valley of Jewels, taking him to the princess on a magic carpet, which transforms itself into a new Chevrolet. Expresses a caricatured view of Arab people, typical of many cartoons of the time.